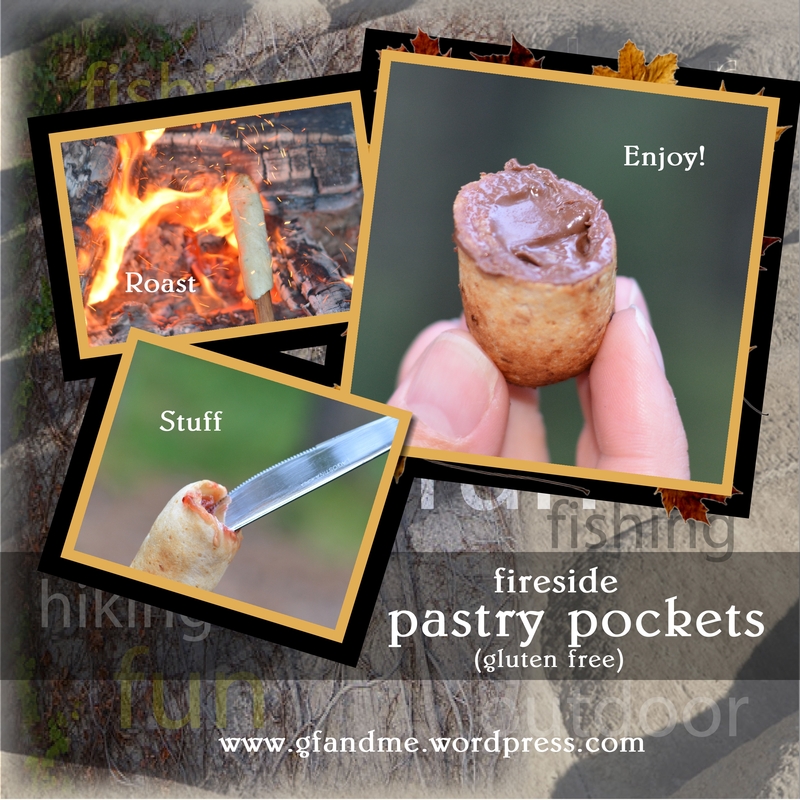 Next time you have a campfire (or light your fireplace, or start your BBQ), give these pastry pockets a try – you won’t be disappointed! Cooked on a wooden dowel (purchased at any hardware store), they can be stuffed with an endless assortment of goodies. Try peanut butter and jam (Geoff’s favorite), Nutella (my favorite), our not-too-sweet cream cheese icing and a sprinkling of cinnamon (tastes like a cinnamon bun – just a bit crunchier), and fruit flavoured yogurt (more healthful and very tasty). Tip: Geoff uses a disposable plastic glove for this and for working the dough onto the doweling. This works well and has the added benefit of layering some of the butter onto the dough so it browns better. Remove from the dowel and let sit for a bit to finish baking and to cool a bit. This entry was posted in Baking, Recipes and tagged bbq recipe, camping, camping recipe, celiac diet, cooking over a fire, GF, gluten free, gluten free pastry. Bookmark the permalink. That is fun! Makes me want to go out camping. Hmmm…. They are a lot of fun. I love food that’s a craft project too! Doesn’t everyone need a good fire pit snack? I love it! What a brilliant idea! Wish we had a fire place at home! Why yes they are! Thanks!